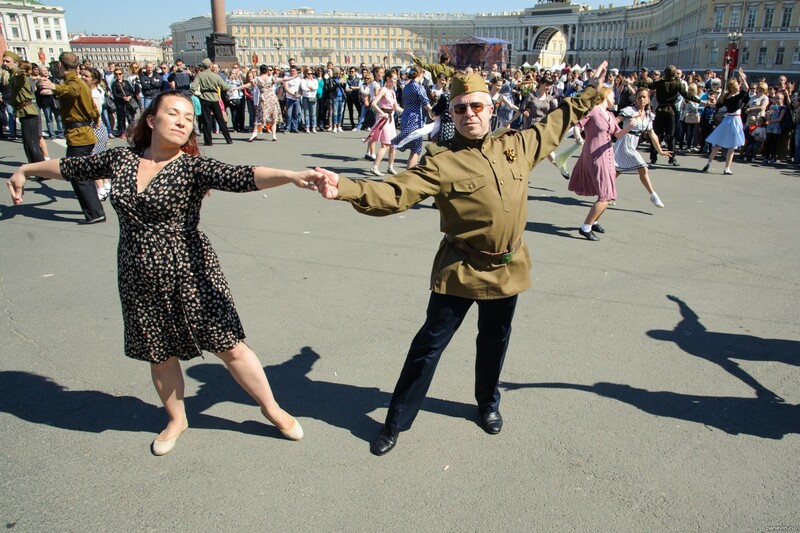 «Russian Radio» and one youth organisation have pleased townspeople with free action: «the Leningrad waltz» — steams dressed on 40th years (the form of the sample of 1943, small specification). According to the leader, dancing couples were not engaged in dances earlier that, in general, it was appreciable. Truth this pair not bad danced, yes.